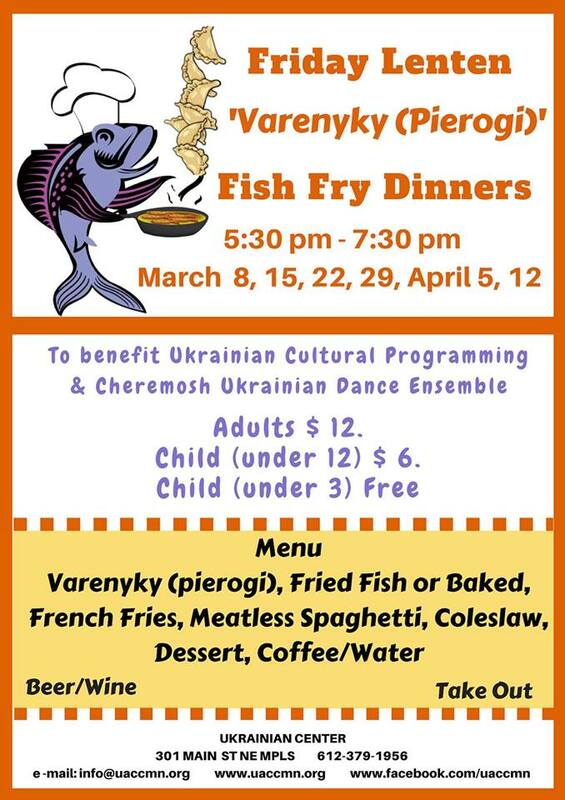 On popular demand: Varenyky (Pierogies) & Fish Fry Dinners! During LENT only. Delicious varenyky (pierogies), tender fired or baked fish, french fries, coleslaw, & desserts — meatless spaghetti for the kids. Beer/Wine available and take-out also. ALL ARE WELCOME!